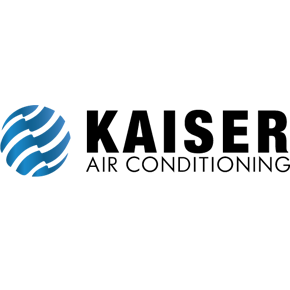 Since 1981, Kaiser Air Conditioning has been providing high quality heating and air conditioning products and services across Ventura and Los Angeles counties. As a local, family-owned business, Kaiser Air Conditioning takes great pride in providing trusted advice and straight-talk service on HVAC installation, repair, and maintenance for both commercial and residential applications.. With a commitment to service and integrity, the company is driven by a set of values that have contributed to its continued growth and success. Kaiser AC also operates a full service sheet metal fabrication facility in Oxnard for producing custom HVAC ducting, flashing, metal roofing or siding, kitchen and bath products, and decorative metal solutions. We are able to eliminate outsourced material costs, provide a value-added service to our residential and commercial HVAC customers, and complete custom or complex installations not available through other service providers. We are just a quick phone call or email away and are ready to help. Headquartered in Oxnard CA, Kaiser AC proudly services Ventura County and surrounding areas, including: Agoura Hills, Moorpark, Santa Paula, Fillmore, Ojai, Oxnard, Camarillo, Santa Barbara, Thousand Oaks, Simi Valley, Newbury Park Westlake, Carpinteria, Malibu and Pt. Hueneme. We are just a quick phone call or email away and are ready to help. Contact us to learn more.